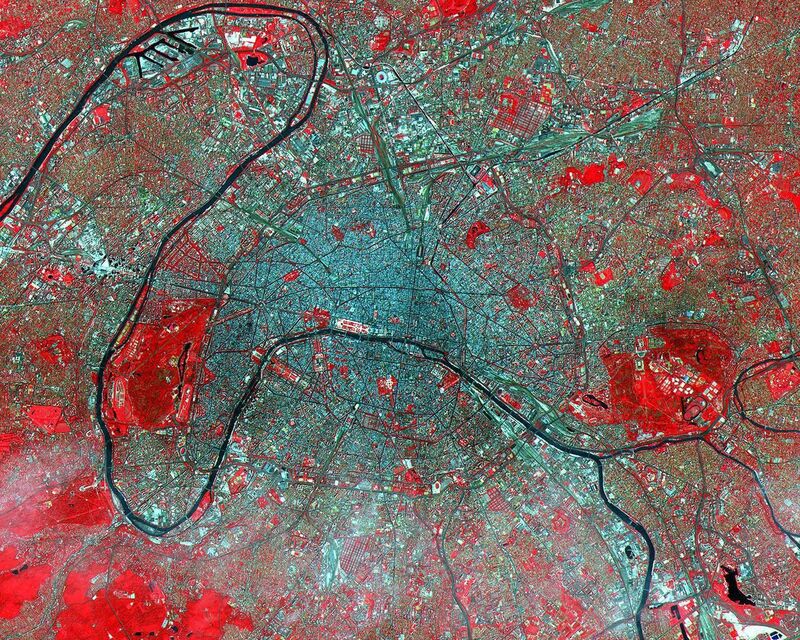 This image of Paris was acquired on July 23, 2000 and covers an area of 23 by 20 km. Known as the City of Light, Paris has been extolled for centuries as one of the great cities of the world. 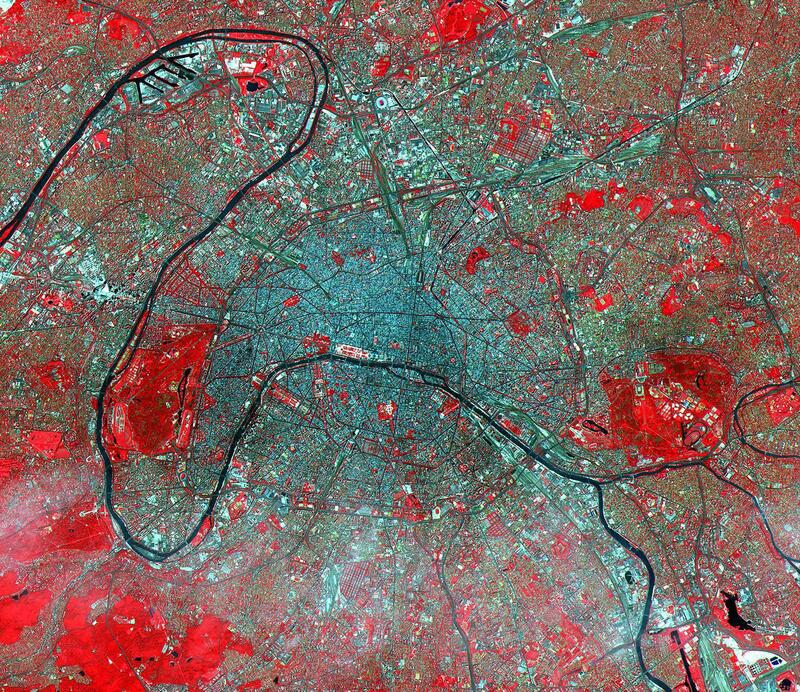 Its location on the Seine River, at a strategic crossroads of land and river routes, has been the key to its expansion since the Parisii tribe first settled here in the 3rd century BC. Paris is an alluring city boasting many monumental landmarks, such as the Cathedral of Notre Dame, the Louvre, and the Eiffel Tower. Its beautiful gardens, world-class cuisine, high fashion, sidewalk cafÃ©s, and intellectual endeavors are well known. The city's cultural life is centered on the Left Bank of the Seine, while business and commerce dominate the Right Bank. The image is located at 48.8 degrees north latitude and 2.3 degrees east longitude. 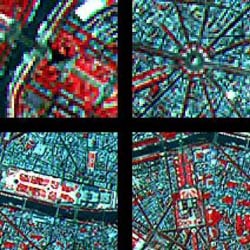 In figure 1, the 4 enlarged areas zoom in to some of the major buildings. 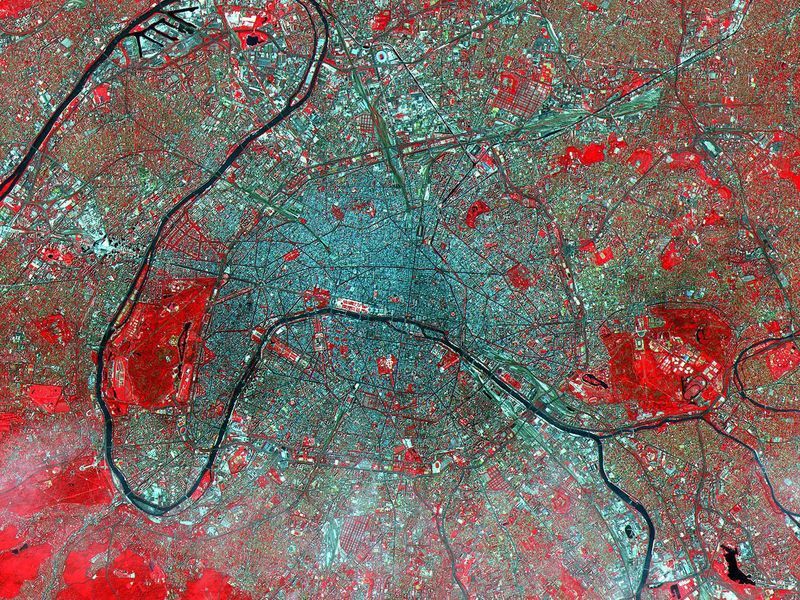 In the UPPER LEFT, the Eiffel Tower and its shadow are seen. Based on the length of the shadow and the solar elevation angle of 59 degrees, we can calculate its height as 324 m (1054 ft), compared to its actual height of 303 m (985 ft). In the UPPER RIGHT, the Arc de Triomphe is at the center of the Place de L'etoile, from which radiate 12 major boulevards. 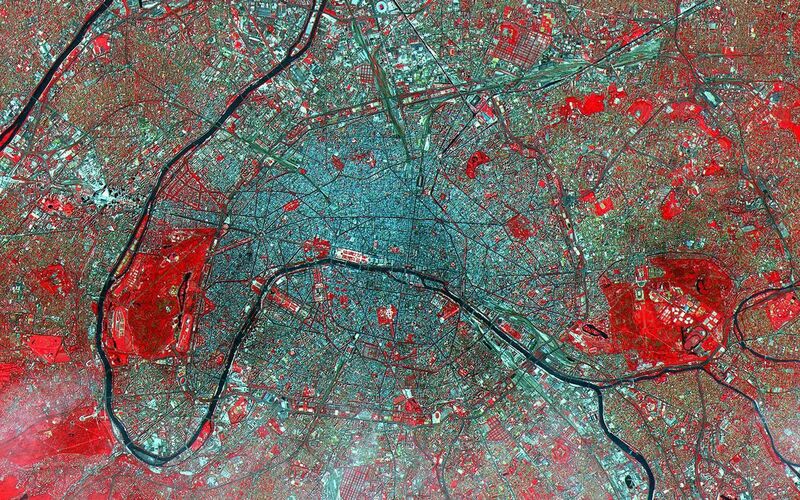 In the LOWER LEFT is the Tuileries Garden and the Louvre Museum art its eastern end. In the LOWER RIGHT is the Invalides, the burial place and monument of Napoleon Bonaparte.